Today has been a great day!! My son came home from his 3 week holiday in Thailand – where he had a motorbike accident on day 3. I was so relieved to see him in much better condition than I expected. He still has stitches that need removing and is missing a tooth but otherwise he is fine and I am so relieved and happy to have him home!! 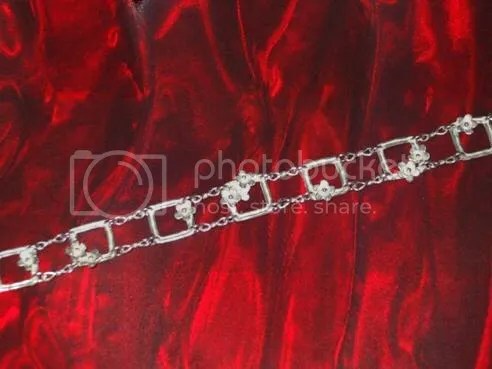 Secondly, I have managed to get the bracelet that I wanted to make from my pmc (precious metal clay) squares and flowers more or less done. I have one and a half grams of pmc left so it was a close run thing. I would like to put a catch on that is sympathetic to the design but I don’t have enough pmc left for that so for now I will have to put one of my usual toggles on it and swap it over when I get my new supply of pmc in. I am very pleased with it although it has been a real trial to put together. There is so much silver in it and the jumprings pass quite tightly through the holes I drilled in the pmc that it has been almost impossible to get the jumprings up to melting temperture with my torch…the rest of the bracelet has been acting as a sort of ‘heat sink’ and preventing the joining rings from fusing. 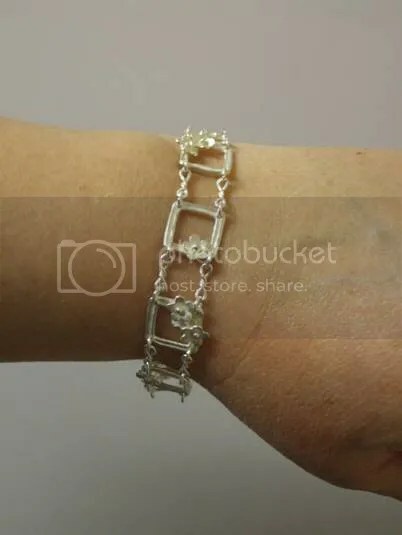 I have learned a lot from doing it and have decided to modify the design when I do it again to see if it makes any difference, I must find a way round it because I really love the design idea. I think the random numbers of flowers and the random arrangement on the bracelet ‘links’ works really well. It has a lovely open look and would look brilliant as a piece of summer jewellery….and has a sort of ‘hippy’ look to it. Well – I like it…do you? ?